different. 'different' - a Johnny Depp Обои created by TheCountess using parts of a quote by him. 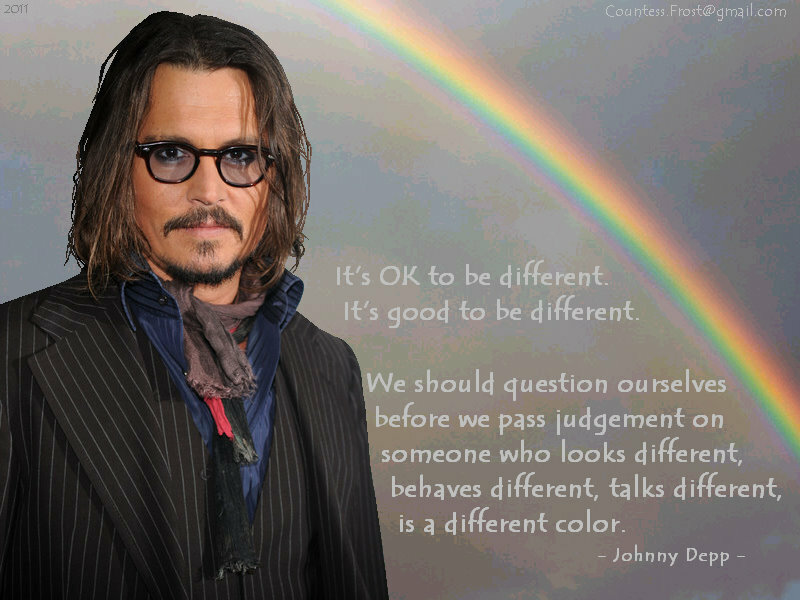 HD Wallpaper and background images in the Совет club tagged: johnny depp actor musician director johnny depp quote fan art wallpaper thecountess.